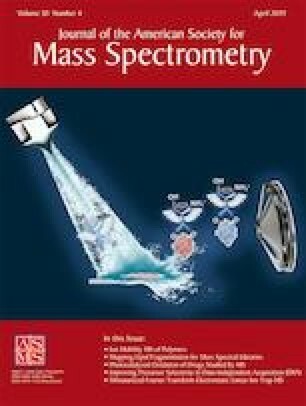 Capillary zone electrophoresis-electrospray ionization-tandem mass spectrometry (CZE-ESI-MS/MS) has attracted attention recently for top-down proteomics because it can achieve highly efficient separation and very sensitive detection of proteins. However, separation window and sample loading volume of CZE need to be boosted for a better proteome coverage using CZE-MS/MS. Here, we present an improved CZE-MS/MS system that achieved a 180-min separation window and a 2-μL sample loading volume for top-down characterization of protein mixtures. The system obtained highly efficient separation of proteins with nearly one million theoretical plates for myoglobin and enabled baseline separation of three different proteoforms of myoglobin. The CZE-MS/MS system identified 797 ± 21 proteoforms and 258 ± 7 proteins (n = 2) from an Escherichia coli (E. coli) proteome sample in a single run with only 250 ng of proteins injected. The system still identified 449 ± 40 proteoforms and 173 ± 6 proteins (n = 2) from the E. coli sample when only 25 ng of proteins were injected per run. Single-shot CZE-MS/MS analyses of zebrafish brain cerebellum (Cb) and optic tectum (Teo) regions identified 1730 ± 196 proteoforms (n = 3) and 2024 ± 255 proteoforms (n = 3), respectively, with only 500-ng proteins loaded per run. Label-free quantitative top-down proteomics of zebrafish brain Cb and Teo regions revealed significant differences between Cb and Teo regarding the proteoform abundance. Over 700 proteoforms from 131 proteins had significantly higher abundance in Cb compared to Teo, and these proteins were highly enriched in several biological processes, including muscle contraction, glycolytic process, and mesenchyme migration. The online version of this article ( https://doi.org/10.1007/s13361-019-02167-w) contains supplementary material, which is available to authorized users. We thank Prof. Heedeok Hong’s group at the Department of Chemistry of Michigan State University for kindly providing the E. coli cells for this project. We thank Prof. Jose Cibelli and Mr. Billy Poulos at the Department of Animal Science of Michigan State University for their help on collecting zebrafish brains for the project. We thank the support from the National Institute of General Medical Sciences, National Institutes of Health (NIH), through Grant R01GM118470 (X. Liu) and R01GM125991 (L. Sun and X. Liu).